I consider myself an Inclusive Learning Evangelist: my mission is to help educators create more inclusive learning environments for all students through the implementation of Universal Design for Learning (UDL) principles, the selection of appropriate assistive technology for those students who need it to address barriers to learning, and the authoring of accessible content. I am a technical assistance specialist for the National Center on Accessible Educational Materials at CAST. In this role, I promote the creation, delivery and use of high quality accessible educational materials and technologies to support equitable learning opportunities for all learners. I have a doctorate in special education and a master’s in instructional technology from the University of South Florida (USF), and while I pursued my graduate studies I worked for the Florida Center for Instructional Technology (FCIT) at USF. At FCIT, I had the privilege of being on the staff for both the Laptop Initiative and the iTeach Initiative, two programs that provide training and support on Apple Technologies to faculty and students in the USF College of Education. I was also the project manager for Tech Ease for All, a collection of free assistive technology and web accessibility tutorials for teachers. In recognition of my accomplishments in the field of educational technology, in 2009 I was one of 52 educators in the U.S. selected to join the 2009 class of the Apple Distinguished Educator (ADE)Program. ADEs are a select group of K-12 and higher education professionals with an identified expertise in educational technology. I am also a Google in Education Certified Innovator (formerly Google Certified Teacher). Currently, I serve as the 2018-2019 President of the Inclusive Learning Network of the International Society for Technology in Education (ISTE). For my work in that role I was selected as the 2016 ISTE ILN Outstanding Inclusive Educator. My story was one of several featured in the March 2109 issue of ISTE’s Empowered Learner Magazine (Being the change we seek: How diverse voices strengthen schools). To learn more about my philosophy and beliefs as an advocate for inclusive design, please watch this 11-minute interview conducted by my good friend Christopher Hills at the 2014 Inclusive Learning Technologies Conference in Australia. 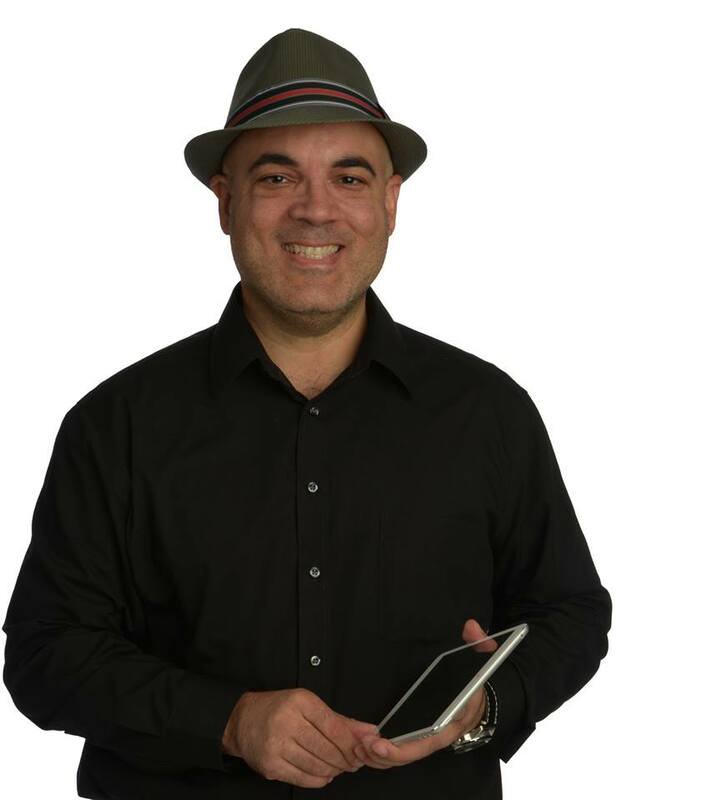 Blind Abilities Presents: Luis Perez, A Pioneer in Accessibility (podcast guest). I was featured on one of The Infinite Thinking Machine’s Idea Slams. This one focused on iBooks Author and how anyone can use it to create accessible books that work for all students.